Why was Diana made to look shorter than her husband? You know when you go for ages without noticing something, but then someone points it out and you just can't un-see it? Yeah, that's happened to us with these old photos of Prince Charles and Princess Diana. 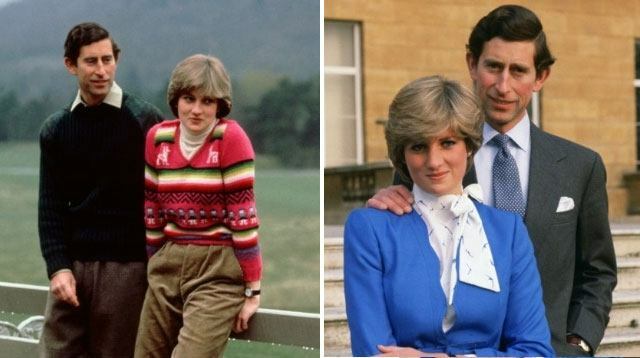 As pointed out in two Twitter posts by two separate accounts recently, it looks very much like Prince Charles is taller than Princess Diana in all these photos, doesn't it? But the thing is, Diana was the same height as Prince Charles. See? And a quick Google search confirms it, Prince William and Prince Harry's parents both measure in at 1.78 meters, or approximately 5 ft 8. So it seems a bit odd, doesn't it, if this illusion was trying to be created on purpose? If such extreme lengths were gone to to make Prince Charles seem more "manly" or something by being taller. As pointed out by Twitter user @LuciHoneyChurch, if there was some fixation on disguising Princess Diana's height compared to her husband's, it's arguably a fairly sexist, conformist thing to have done. Because what's the big deal if a man isn't taller than his wife?